In a stage of new bidding or a new business developing, it is not easy for a client to make a permanent contract with a local partner for just a preparation for the actual activities. ISSAC E&C has learned this insight from the past. Hence ISSAC E&C is ready to assist client from an initial stage of any project without any fixed contract, we can offer temporary service as part of your team to assist your requirement, travelling, booking, market evaluation, audition for sub-contractor, general service and even administrative support if needed. When a client needs to evaluate any ship yard for new construction bidding or an analysis before introduction of new production line, ISSAC E&C can consider the owner’s specific requirements and inspect the yards facilities and services to check their compliance with owner's specific system requirement for quality, safety, track record, special bid pre-conditions and other items specifically requested by clients. And as a final production of this activity, ISSAC E&C can provide a detailed report to the owner's which can reduce and ease their efforts in this area of activity. ISSAC E&C is able to perform a life time maintenance for client’s vessel from the stage of building. We help your operation by providing rapid after-sales service (guarantee). This goal can be achieved because we have extensive experience and strong relationships with the shipyards and vendors. 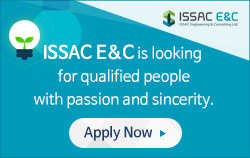 ISSAC E&C personnel bring a high degree of operational experience to the learning process, and have the qualifications necessary to provide a range of training and competency assessment options. We have many partner shipyards not only in Korea, but also worldwide such as China and Middle East Asia and have experienced team, so it allows us to perform turn-key base with cost-effective and timely solutions that respond to our clients’ needs. In addition to this, we are able to handle the various kinds of ships (General Cargo Vessel, Bulk Carrier, Container,Tanker,RoRo Ship, etc). 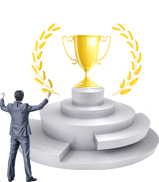 We will do the best to improve productivity, extensive high quality control and after-sales service and to provide the best ship to the ship owner at a competitive price and in the shortest working period. ISSAC E&C always strives to accomplish ship repair and conversion in the most effective ways. LNGC, LNG RV, LNG FSRU, General Cargo Vessel, Bulk Carrier, Container, Tanker, RoRo SHip, etc. FSO, Rig, Drillship, OSV, etc. Considering the development of Emissions Controlled Areas (ECA), LNG as a fuel for ship will become an answer to emissions requirements on seas and in ports around the world. 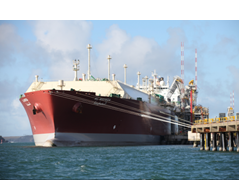 ISSAC E&C supply the LNG Bunkering solutions for truck to ship transfer, on shore and inland waterways bunkering stations and bunkering vessels, that suits the market requirements in terms of performances, safety, and efficiency. New stringent regulations are forcing the shipping industry to study new fuelling options. 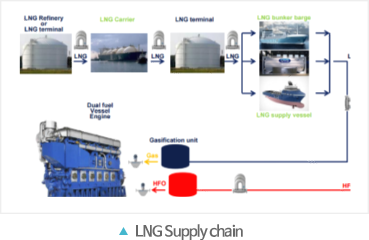 The introduction of emission controlled areas "ECA" by the International Maritime Organisation (IMO) together with large proven reserves all over the world, has given to LNG an opportunity of being an attractive alternative to conventional. Retrofitting an existing diesel engine with an LNG pack can be feasible, as several cited examples have shown. However, existing ships have limited design flexibility and limited available space on board. Furthermore, the ship’s stability needs to be maintained. Whether retrofitting is possible, needs to be evaluated on a case-by-case basis. ISSAC E&C has created our own brand in order to concentrate our capability more on Green Technology and to provide professional relevant services including engineering, procurement, installation, A/S and O&M in BWMS and SOx scrubber by operating its special team named as IGT(ISSAC Green Technology) composed of qualified and experienced engineers.